Conservatives may spin facts, but Leftists live on lies. Conservatives and Leftists aren’t just watching different movies, which goes to spin and values. Leftists are often watching movies based entirely on lies. Scott Adams is fond of analogizing different political world views to the fact that people are watching different movies. I watch a movie that sees Trump as an incredibly effective leader who is restoring balance to American politics and to the world stage. Leftists see Trump as an evil fascist who is making the world a place of boiling oceans and hate-filled lands. That is a perception difference based upon values. Others like to point out accurately enough that people tend to seek reinforcement for their ideas. They pay attention to those facts that support their world view, while ignoring those that don’t. That’s why Leftists like to point out that Robert Mueller is ostensibly a Republican, so conservatives have no right to complain that he has a partisan bias, while conservatives like to point out that the people on Mueller’s team are overwhelmingly Leftist in thought and deed, meaning that partisan bias infuses the whole investigation. Under both those theories, conservatives and Leftists are living in the same world, with the same facts, but spinning them different ways. NPR’s Scott Neuman ran with the same kind of twisted headline: “During Roundtable, Trump Calls Some Unauthorized Immigrants ‘Animals.’” Unlike USA TODAY and The New York Times, Neuman updated the story, including remarks from counselor to the president Kellyanne Conway and press secretary Sarah Huckabee Sanders. 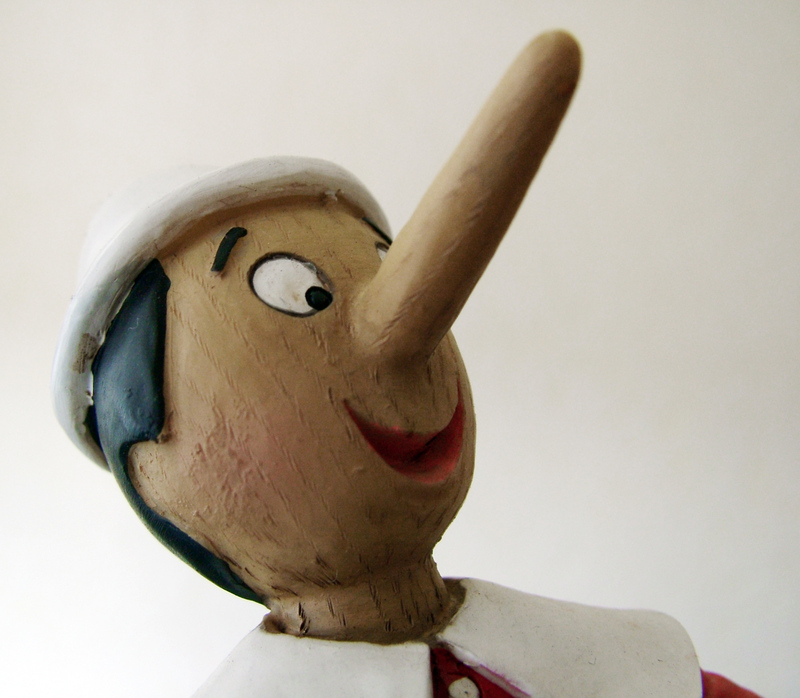 There is a sad running debate going on between the Left and Right in America today: Which party’s candidate is the biggest liar? Both Hillary and Trump appear to have, at best, only a passing acquaintance with honesty. For every article saying that Trump is a liar, there’s another article saying that Hillary is a liar — and both are correct. The only obvious difference between the articles is that the Trump articles get printed in media outlets with greater circulation than do the Hillary articles (which is, of course, a shame). What the two candidates have in common is that both tell lies of self-aggrandizement. Donald Trump is staggeringly boastful while Hillary loves to buff her resume, whether she was named after Sir Edmund Hillary (who gained fame after she was born) or landed under sniper fire in Bosnia (when all was peaceful at the airport). The speech [that Obama gave in Sderot in 2008, promising his support for Israel’s right to exist and defend herself] was a stirring one for those who had not tracked Obama’s less-than-stellar record to that date, who had not examined his chequered past and problematic mentors and acquaintances, and who wanted desperately to believe in the empty mantra of “hope and change.” As I watched the YouTube* clip of Obama’s address and listened to those familiar sinusoidal cadences, I knew instantly that the man did not mean a word he said, a conclusion that anyone who had done his homework would have reached. Regrettably, it has taken much of the world five more years to realize that Obama is a trained prevaricator of the first water, whether the issue is government transparency, receding oceans, competitive bidding, citizen surveillance, deficit cutting, the closing of Gitmo, unilateral military action, Fast and Furious, Obamacare, and, in the realm of foreign policy, Iran and Israel. Obama’s evasions and hollow assurances on this latter file demonstrably imperil the future of the Middle East and, quite possibly, the safety of the planet. It certainly spells imminent danger for Israel. 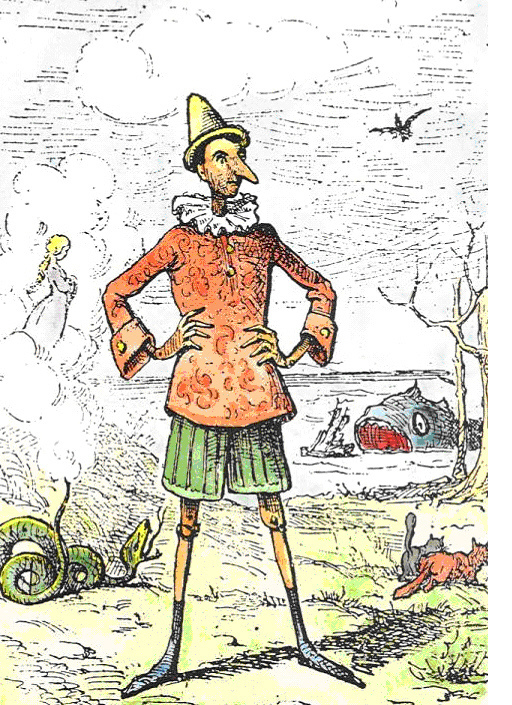 The word with which I disagree is the word Solway was kind enough to hyperlink: “prevaricator.” While it’s true that “prevaricator” is a word for a liar, it’s mostly understood to mean, “a person who speaks so as to avoid the precise truth; quibbler; equivocator.” That’s how I read it: That Obama is a trained quibbler who doesn’t lie outright, but speaks around the truth. To the extent that the word “prevaricate” implies only a soft lie, I strenuously disagree. Obama is an out-and-out liar, a man who’s very being has no relationship with the truth. If he can lie, he will lie, and that’s true whether or not the lie serves a purpose (such as defrauding the American people) or is simply a lie for lying’s sake (such as lying about staying with his illegal alien uncle). Israel’s window of opportunity to launch an effective strike is closing. It is now measured in months, not years. The deal, worry Israelis, could further narrow that window. Israelis note that the deal doesn’t cover inspections of Iran’s nuclear weaponization program, including fuses, timers and metallurgy, which will no doubt continue apace. And Israel takes for granted that the Iranians will persist in doing what they’ve done all along: lie and cheat, but this time under the cover of a deal. In every previous rounds of negotiations, after all, the Iranians continued building secret facilities. All of which could mean further reducing Israel’s timetable for a strike. If Israel concludes that its window is closing and does decide to strike, even while the deal remains in effect, it risks becoming an international pariah—in effect exchanging roles with Iran. On the morning after an Israeli strike, Israel could find itself alone, facing tens of thousands of missiles from Hezbollah and Iran launched against its home front. During the first Obama administration, the urgent Israeli question was: Is he is a friend of the Jewish state? That question was largely resolved for many Israelis during the President’s visit to Israel last March, when he won over much of the public by affirming the Jewish roots in the land of Israel and the indigenousness of Israel in the Middle East, as well as Israel’s past efforts to make peace. Now, though, Israelis are asking this: After eight years of President Obama, will the Middle East be a safer or more dangerous region for Israel? For most Israelis the answer is self-evident. The turning point came this summer, when Obama hesitated to enforce his own red line over Syria. That was the moment that he lost the trust of the Israeli public on Iran. Indeed, Obama’s presidency is proving to have been built entirely on fraud. Not just lies, which are often merely self-exculpatory or self-aggrandizing, but on fraud, which is the deliberate use of lies and information withholding in order to get people to change their position to their detriment and to your benefit. He told Americans and Israelis lies, knowing that they were lies, for the specific purpose of getting both America and Israel to change their position to their detriment and to Obama’s benefit. In the case of Obamacare, the (knowing and known) lies were that (a) you could keep your plan; (b) you could keep your doctor; and (c) average insurance costs would drop $2,500 per year for a family. He told these lies to strip Americans of their insurance and pave the way for socialized medicine. In the case of Israel, he repeatedly told Israel that (a) he would never abandon her and (b) he would work to end Iran’s nuclear aspirations. These lies meant that Israel did not strike against Iran when the striking was relatively easy (as was the case in the strike against the Syrian nuclear facility). Now, as Halevi showed, even if Israel successfully strikes Iran, Hezbollah is on her border with thousands of missiles aimed at her. Moreover, having now struck this deal with Iran, Obama won’t have America’s back if she strikes; he’ll join the chorus of disapproval isolating Israel. In the past, when Israel had her back against the wall, she came out swinging. Thanks to Obama’s fraud, her hands may well be tied. Do you remember the headline horror of 9/11? I do. Since we were on the West Coast, we woke up in time to turn on the television and see the towers fall. I don’t need to find words to tell you what that felt like because you were there and you remember. You felt it too — that sense of watching a train race towards a giant canyon, where the bridge is out, and there is nothing you can do to stop the inevitable carnage. Every day, I wake up now, grab my iPad, and, driven by a fierce compulsion, open it, expecting that Obamaworld will show me headlines fully equal to the despair and horror of 9/11. UPDATE: The wonderful image that Matt Drudge used this morning comes from Jon Gabriel. And since we’re talking turtles (you’ll understand after you follow the neo-neocon link), the next logical step is Yertle the Turtle and Other Stories , my personal favorite of the Dr. Seuss books. As you may recall, Yertle wanted to be king of all he could see, so he stacked his fellow turtles up high in order to expand his view. That tall stack eventually failed, leaving Yertle buried deep in his pond’s mud. The book could be seen as a fun metaphor for Obama’s desire to control American healthcare. Democrat spinmeister Lanny Davis appeared yesterday on Fox & Friends to be telling Obama to ‘fess up about his early statements regarding Obamacare, and Obama seems to have tried to do so. At least, that’s the spin. But let’s see what really happened. President Barack Obama needs to heed “crisis management rule 101” and acknowledge that he “messed up” in saying people could keep private health insurance they like under Obamacare, Lanny Davis, who served as special counsel to former President Bill Clinton, said Thursday. “It wasn’t explained well. Now, we just have to acknowledge that — which is crisis management rule 101 — and fix it,” he added. Let me explain what it means to mess up by not explaining well. 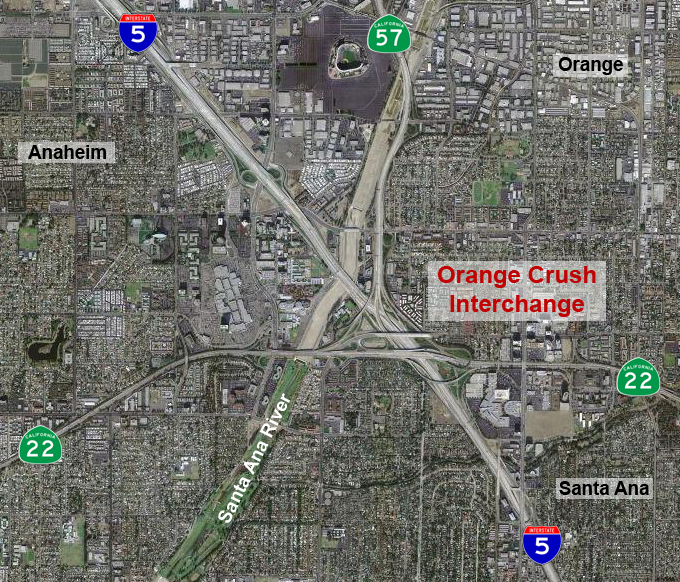 We’ll use the “Orange Crush Interchange” which is ranked as the most complicated interchange in the world, for our example. Let’s imagine that I have a friend who’s heading southeast on I-5, and I’m trying to get them to my house in Orange. If I “mess up” by not “explaining well,” I might say to my friend, “When you get near the Santa Ana River, make a left turn.” That’s a gross oversimplification that doesn’t explain things well, but I’m still kind of describing what goes on. But if I say to my friend. “Oh, it’s an easy northbound trip through green pastures on a quiet two lane road,” that’s an out-and-out lie, because it doesn’t simplify the reality, it denies it. Obama didn’t mess up, or fail to explain well. He committed an act of fraud against the American people in order to sell them a bill of goods. As for Obama’s apology, let me say a word about apologies. I know someone who has never once, in all the time I’ve known him, issued a real apology. Instead, if one stands in front of him and demands that he apologize for something truly egregious that he did, for which he was solely responsible, and which really harmed someone, his apology will invariably be something along these lines: “I’m sorry you’re upset.” The notion of accepting responsibility and expressing remorse is utterly alien to him. He couldn’t even read the words of a TelePrompter. They’d choke him first. CHUCK TODD: Thanks to you. I’ll start with health care. It’s probably the most quoted thing or requoted thing you have said in your presidency, “If you like your health care plan, you can keep it.” You said it a lot during the run up. At this point, though, it’s obviously something– a promise that has not been able to be kept. Just today, the Denver Post — 250,000 people in Colorado are seeing health insurance policies cancelled. Some of those people liked those policies. And they can’t keep them. What happened? PRESIDENT OBAMA: Well– first of all, I meant what I said. And we worked hard to try to make sure that we implemented it properly. But obviously, we didn’t do enough– a good enough job– and I regret that. We’re talking about 5% of the population– who are in what’s called the individual market. They’re out there buying health insurance on their own. A lot of these plans are subpar plans. And we put in a clause in the law that said if you had one of those plans, even if it was subpar– when the law was passed, you could keep it. But there’s enough churn in the market that folks since then have bought subpar plans. And now that may be all they can afford. So even though it only affects a small amount of the population, you know, it means a lot to them, obviously, when they get– this letter cancelled. Is there a word of responsibility, remorse, or repentance in there? No! I think Obama’s effort falls into the “non-apology apology” category, except without any apology part. I didn’t hear the word sorry, I didn’t hear responsibility, I didn’t hear remorse, and I didn’t hear repentance. Mostly, what I heard was a big “screw you” for challenging his manifest lies. Still, in Obama’s defense, the information about his lies, about his pattern of lying, about his fraud, about his economic ignorance, about his narcissist arrogance — all of it was out there for the American people in 2007, 2008, 2009, 2010, 2011, and 2012. And they still voted for him. They get the government they deserve, and we, like Roland at Roncesvalles, get the glory of having been killed trying to fight a valiant rearguard action — with the only problem being the fact that there’s no one left to finish the battle on our behalf. P.S. Ace also looks at Obama’s non-apology and, as always, it’s better than anything I can write.